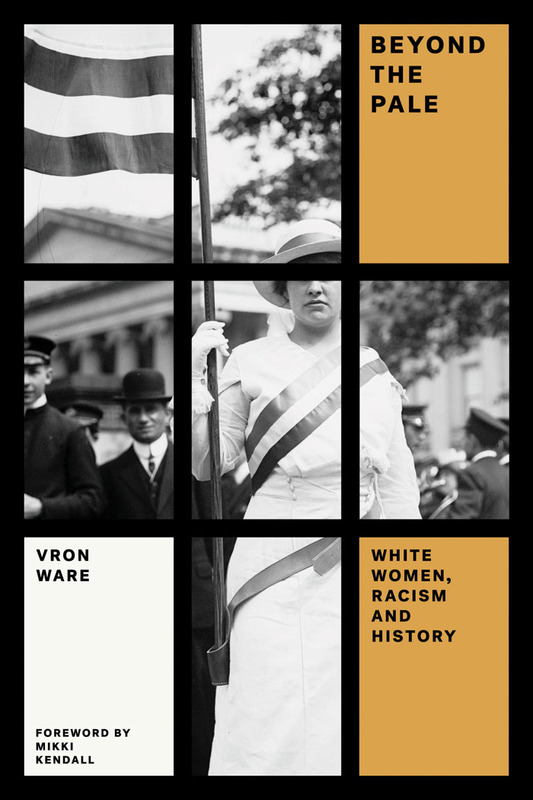 Vron Ware's Beyond the Pale: White Women, Racism, and History is an ambitious attempt to examine the divisions between white women and women of colour in the history of feminism, and how feminist ideals develop in racist societies. 'White Woman as a Symbol of Civilization' is an excerpt from the book looking at how race, gender and class intersect in ideologies of difference, making modes of femininity speak for wider cultural values. The inner-city riots of 1981 and 1985 helped to keep issues of public order, racism and policing central to the political stage during the 1980s, but education has since become another equally important focus for racial conflict. Although debates about public order and education both centre on black youth, it is the struggle around racism in schools that has seen discussion of nakedly biological racial difference transformed into that of innate cultural difference. Before looking at the way in which different types of femininity articulate cultural diversity I shall first outline some of the background to the racial politics of education. The protesting parents’ cause was taken up enthusiastically by the press: they were cited as claiming that their children’s ‘cultural upbringing’ would be at risk if they were so outnumbered. It is worth noting here that white women have been at the forefront of parents’ attempts to intervene in debates on race and culture in education. In this instance one mother was quoted as saying: “There is a strong chance that my son will grow up learning Urdu – confusing him. I am sure it will affect his education. Although the headlines invariably carried the word ‘race’ in large letters, the parents appeared to be unanimous that their concern to redirect their childrens’ education did not spring from racism; indeed several were adamant that their protest was not against Asian people themselves. The main issue was establishing the right to choose which school their children went to. While the 1980 and 1988 Education Acts allow parents a choice of schools providing it does not interfere with the authority’s ‘efficient use of resources’, race relations law forbids a local education authority from carrying out any act which constitutes racial discrimination. Shortly after the Dewsbury incident, Cleveland Council agreed to transfer a white child from one school to another when her mother complained that she was ‘learning Pakistani’. After an investigation by the Commission for Racial Equality had found that the Council had behaved unlawfully, the secretary of state for education decreed that a parent’s right to choose should override race relations law. The decision was welcomed by the Parental Alliance for Choice in Education, the body which provided legal advice for the Dewsbury parents and backs parents in similar disputes with local authorities. Their spokesperson was able to repeat the familiar litany: ‘It has nothing to do with race but with culture,’ and, as if by way of proof, ‘In Dewsbury muslim parents supported the right of white parents to remove their children from school.’ The movement for separate Muslim schools is also inevitably cited as evidence that cultural segregation is desired on both sides – a fact which is somehow supposed to prove that there is no question of racism. However, the cultural separatism expressed in the demand for Muslim schools also underlines the complexity of the issue: there seems to be a problem when Asian children are in the majority in British schools, but there is also an explicit concern that black children educated outside the national system will not be exposed to the social and cultural values of their adopted country. In order to make sense of these localized debates about the cultural content of children’s education, it is essential to ask what motivates those who claim their non-racist desire to keep their cultures separate. I believe that ideas about the relative status of women in different communities feed their anxiety, although this is not always expressed directly and it cannot be reduced to a simple problem of parents not wanting their own children to be influenced by gender relations of which they disapprove. Of course there are varying structures of male dominance operating within different communities whether they are formed around ethnicity or class, and it is perfectly understandable that many people are opposed to laws and social practices that they associate with societies other than their own. 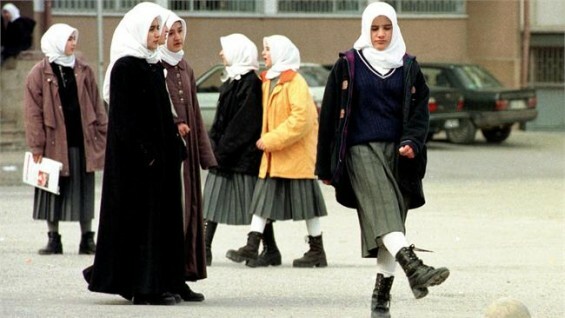 However, the conflict produced by the wearing of the headscarf, in schools by Muslim girls, is one example of how modes of femininity are made to speak for wider cultural values. Now, however, I want to examine ways in which representations of white femininity articulate power, if subtle, racist messages that confirm not only cultural difference but also cultural superiority. "I also wore a long-sleeved blouse, buttoned to the neck, and had sunglasses on. Pretty safe, I would have thought. I was only to learn from the British Ambassador’s wife at the end of the week that my problem was I tucked the blouse into my trousers. I should have been wearing it outside. I got very fed up with being touched, stared at and shouted at by men. The women, I noticed, would turn away with a sort of scandalised sneer. " The reader is invited to share her evident distaste for a society in which women appear to be simply bought and sold by their elders, and to view its inhabitants with a rather more derisory sort of scandalized sneer. 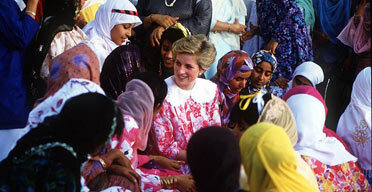 In this way, the image of the Western ‘liberated’ woman, who enjoys equality with men that is enshrined in law, together with the freedom to dress, behave and work as she likes, is thrown into sharp relief by that of the Muslim woman, forced into submission from girlhood and deprived of any social, economic or political rights to independence. While the act of comparing social and sexual relations in two different societies may seem like pertinent journalism, the way it is done in this example conforms to a broader ideologically charged survey in which the position of women in a society indicates the level of civilization it has achieved. This is an idea that appears through history in various permutations. It has meant that the story of the young Arab women’s passage from civilization’s inner city to its outer margins and back again can never be contained as a simple tale of patriarchal duplicity and bureaucratic nightmare. Throughout these descriptions of the English princess, a rose to ‘make this dusty, dry desert bloom’, different styles of femininity were being compared directly with each other. But other versions of aggressive, powerful or merely active femininity can also be suggested in the absence of other women. In a feature in the fashion journal Vogue on the film White Mischief, set in the so-called Happy Valley in Kenya in the 1930s, images of unsubmissive white femininity were constructed through reference to black men and wild animals. Greta Scacchi, for example, who played the female lead, appeared on a double page spread flanked by two male actors dressed as Masai warriors. Staring straight into the camera, and wearing a bright red suit and hat, with bare arms and legs, she rested her hand on the arm of one of the men as if to prove her power and their submission. The unnamed ‘warriors’, who, the reader was told, were played by Sumburu in the film, were also dressed in red, covered with jewellery and holding full-length spears. They had become a symbol of the white people’s rule over the country, and formed an exotic, but tamed, backdrop to the domestic dramas of the colonizers. In another image that symbolized the taming of the savage, Geraldine Chaplin, who also played a leading role in the film, was photographed sitting in a haughty, nervous pose with a docile leopard on a leash and chain. Smaller pictures, which did not show famous film stars in period costume, were captioned with a minimum of detail in the best ethnographical tradition: ‘Scenes from the Kenyan landscape: native with zebroid (half zebra, half horse), and bougainvillea’. The whole feature ended with a section called ‘Travel Notes’ which explained how to get there, where to stay, which tour operators to contact – as though the Africa of the film still existed unchanged. Fashion pictures often situate models against a background of ethnic, primitive, or even ‘savage’ femininity or masculinity in order to achieve a range of impressions, from strength to vulnerability. The recent spate of high budget films set in the context of Empire, of which White Mischief was just one example, is often directly connected to nostalgic fashion imagery which expresses particular aspects of colonial memory. In this way codes of femininity help to reconstruct a historic past through images which are both made and interpreted in the light of contemporary ideologies. In a fashion series in the Observer colour magazine which coincided with the release of Out of Africa in 1986, the model and her crew were flown to the Ivory Coast courtesy of British Caledonian to capture the spirit of the moment. In one full-page shot the model adopted a virginal pose, with hands clasped and eyes lowered, wearing a completely white outfit down to her shoes and stockings. In the background, walking behind her, was the blurred image of an African woman in brightly coloured ‘native costume’, with child on her hip and basket of fruit on her head. Another page showed the same model, again clothed in a long white dress, but with a dark jacked, matching shoes and hair ribbon, holding a large straw hat. In complete contrast to the cool unperturbed Englishwoman in the first picture, this time she appeared to be hurrying, her head, with hair dishevelled, turned back over her shoulder as if she were aware of danger. In the background and on a level with her eyes, the very blurred figure of a black man could be seen emerging from the bushes at the side of the road. Black children are sometimes employed to highlight a particular aspect of a fashion ‘look’. In a clothes advertisement in another fashion magazine several young black boys wearing outsize men’s shirts appeared alongside a white model similarly dressed. The backdrop of sandy desert combined with the image of a lone white woman to produce an effect of independence and androgyny. During the same summer, a trend appeared in the shops for clothes patterned with dancing black figures, symbols of the exotic, the ethnic and the cosmopolitan. I was struck by a more up-market version in an expensive department store window: fabric printed with photographic images of a veiled ‘oriental’ mother and child in tasteful grey and white adorned an otherwise naked plaster model. Black women are increasingly visible as fashion models in their own right, which indicates how ideas about what it can mean to be a black or white woman shift in the perpetual search for images of femininity that are linked to patterns of pleasure and consumption. The Observer colour magazine ran a spread featuring purple fabric and vases to coincide with the opening of the film of Alice Walker’s novel The Colour Purple. In one shot a black woman was shown naked from the waist up, in profile, appearing to drink from a rectangular glass vase. In another, titled ‘African violet’, a black woman’s silhouette, her head in profile and glass bowl resting on her shoulder, conjured up images of enslavement. In 1989 the international clothes company Benetton ran a major European campaign promoting ‘United Colors of Benetton’ which featured a naked white baby held against a naked black woman’s breasts. A television commercial for a deluxe Citroën model cut repeatedly between different angles of a black woman in African dress striding in bare feet and the car gliding along the road, both in the same barren landscape. Depending on the political motivation and climate, specific images of Asian women are mobilised for particular arguments. The common sense ideas about Asian female sexuality and femininity are based within, and determined by, a racist patriarchal ideology. Women are defined differently according to their race. While this statement might seem perfectly acceptable when applied to images of black women, the ways in which race figures in the interpretation of images of white people is rarely discussed. 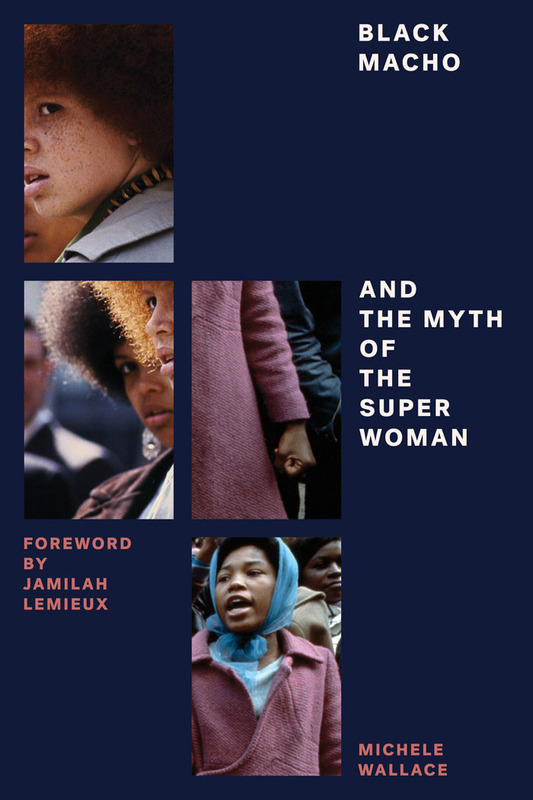 Feminism, for example, has tended to deal with the representation of white women in terms of gender, class and sexuality without also acknowledging the dynamics of race. Why is it that there have been so few studies by white feminists of white femininity? In a predominantly white society it is hard to get away from the assumption that to be white is to be normal, while to be not-white is to occupy a racial category with all its attendant meanings. Moving beyond images and questions of representation to broader issues of political theory and action, it is time to consider the awkward question of the white feminist response to racism. Vron Ware and Lola Okolosie will be discussing feminism and race at the London Review Bookshop on June 16th. For more details and to book, visit the London Review Bookshop website.